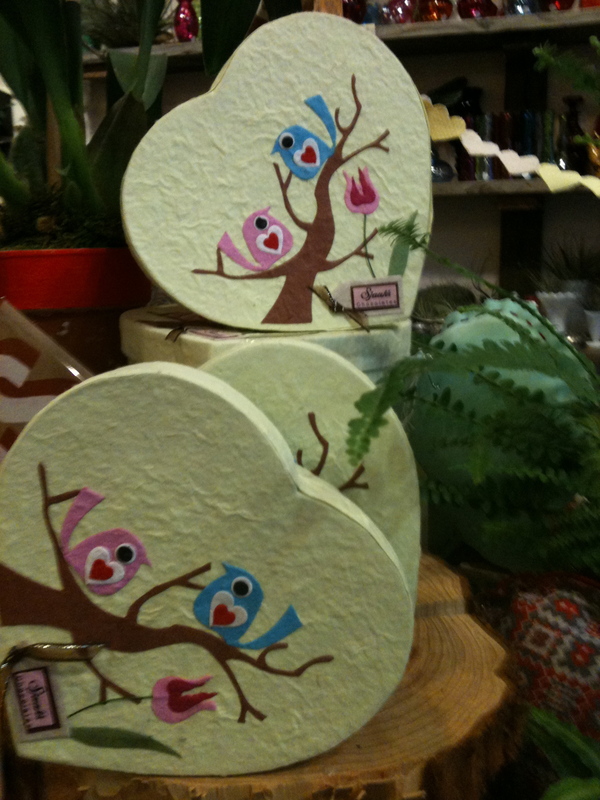 At the Gorgeous and Green boutique, we have lots of cute little gifts for the eco-minded and loved valentine. 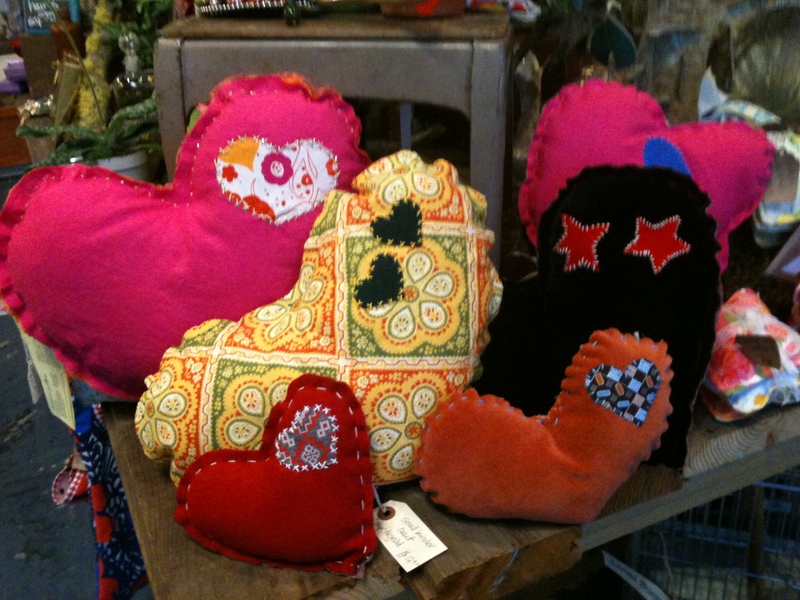 I used some reclaimed and vintage fabrics and men's ties to create some stuffed hearts pictured above, many of which I stuffed with some organic lavender to make them smell yummy. Get them while they last, they are going fast! 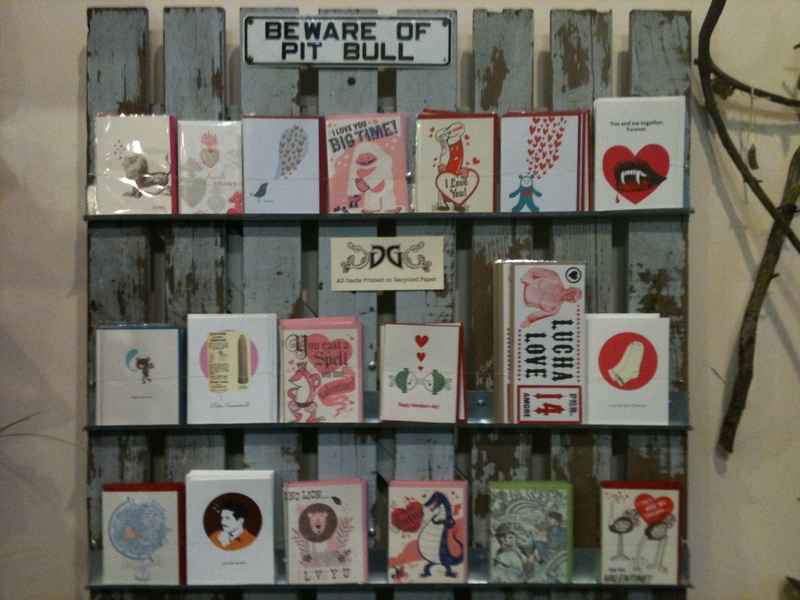 We also have a great collection of Valentine and love cards, to give to your special ones. Many are from Hello Lucky, located here in San Francisco and others are from sustainable letterpresses in Southern California (Fugu Fugu Press), New York (Seltzer Goods) and in Tenessee (YeeHaw Letterpress). All of course are printed on 100% recycled paper, as are all the cards I stock in the boutique. 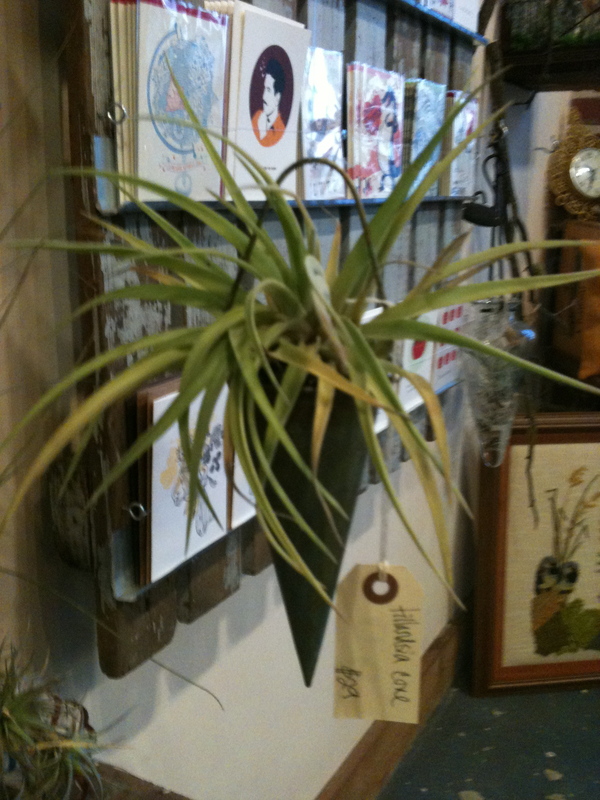 The boutique also has lovely locally grown airplants for you to pick and choose from to create a home display, or already created airplant gardens in recycled glass vases and bottles, both table-top and hanging. Individual airplants range in price from $2.75 to $40 depending on the type and size! We also have some lovely sustainable jewelry including some vintage inspired monogram pendants made of recycled pure silver and winged heart necklaces and rings. I also have a full alphabet of small typewriter font initial necklaces, going for $27 a piece. 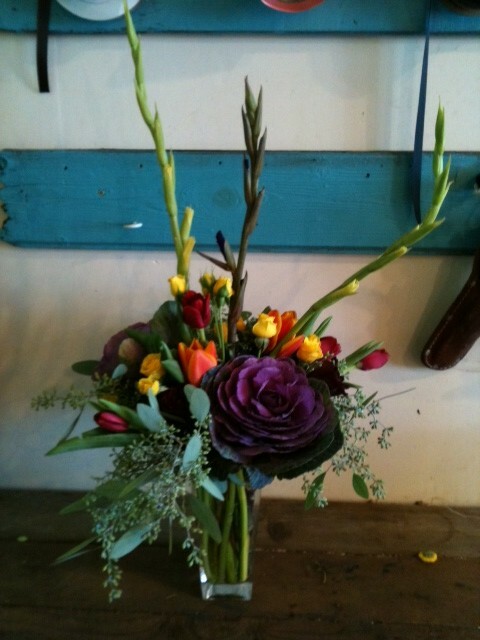 We will have plenty of flowers including locally grown and sustainably grown roses, tulips, gerbers, gladiolas, ranunculus, narcissus, kale and many others. 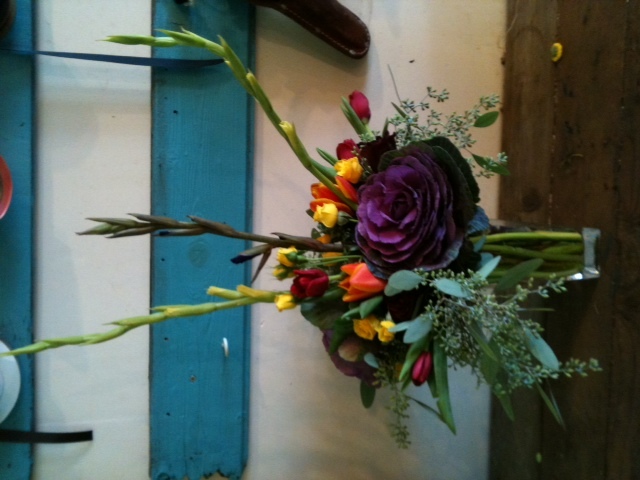 Myself and my assistant Celia would love to make you a creative and one of a kind bouquet for your special one. Last but not least, we have the best tasting local/organic/fair trade/protecting the rainforest chocolates I've ever had, from Sjaaks. The truffles come in lovely hand made boxes from a Women's Cooperative in Thailand. 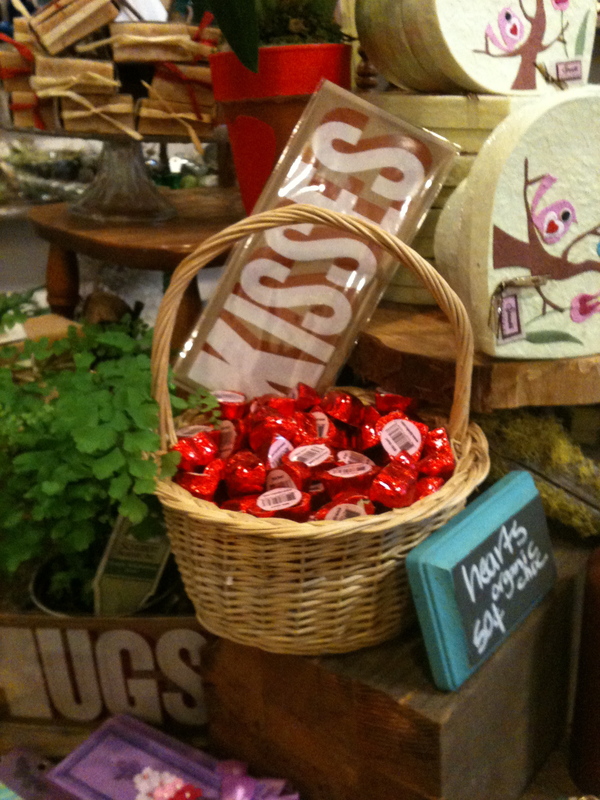 They include a large assortment of vegan chocolates! 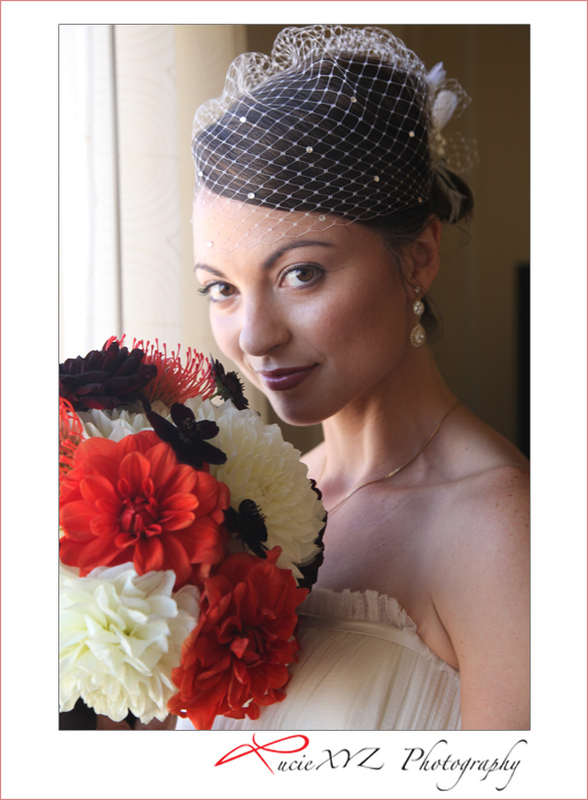 First of all, I want to thank the bride: Kelly, for her openness to green and sustainable options and flexibility in finding options that would work for her wedding and color scheme. Second, I'd just like to say, orange, brown and white are a beautiful color combination, and even more so in local, organic and recycled tones! 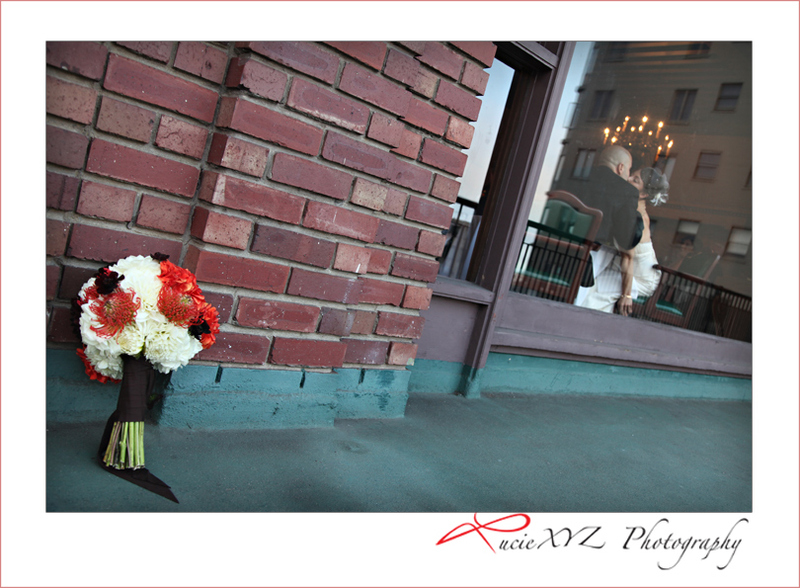 Check out the orange recycled glass vases I used and biodegradable ribbons... all part of the magic! 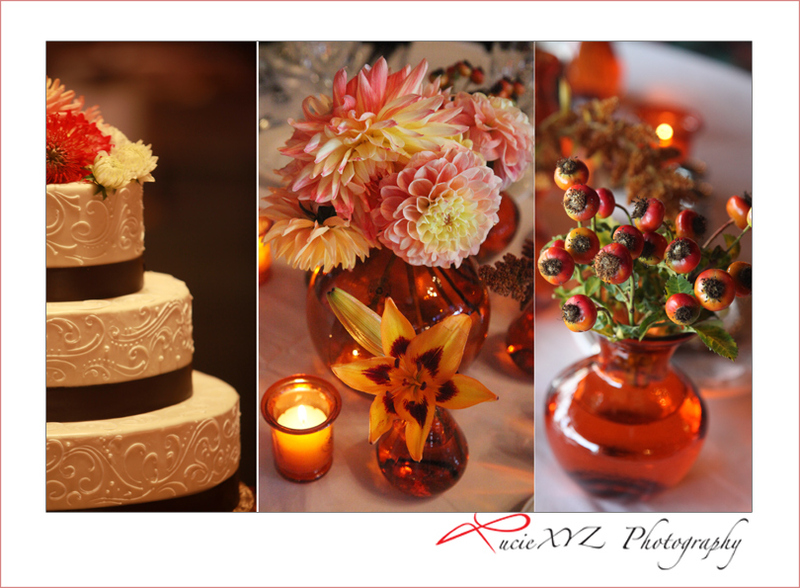 Here are a few teaser pics from the Photographer Lucie XYZ Photography, thanks for such wonderful shots! 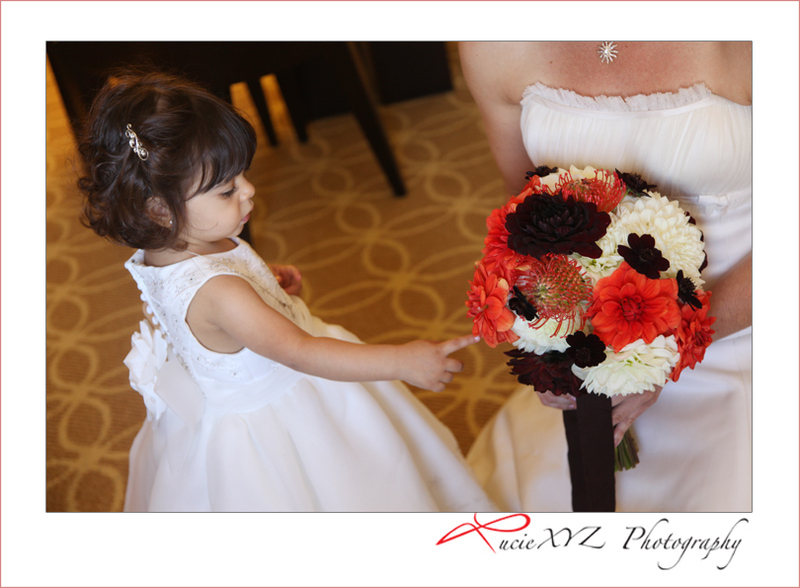 She highlights a few more moments from the Gorgeous and Green event last saturday on her blog. 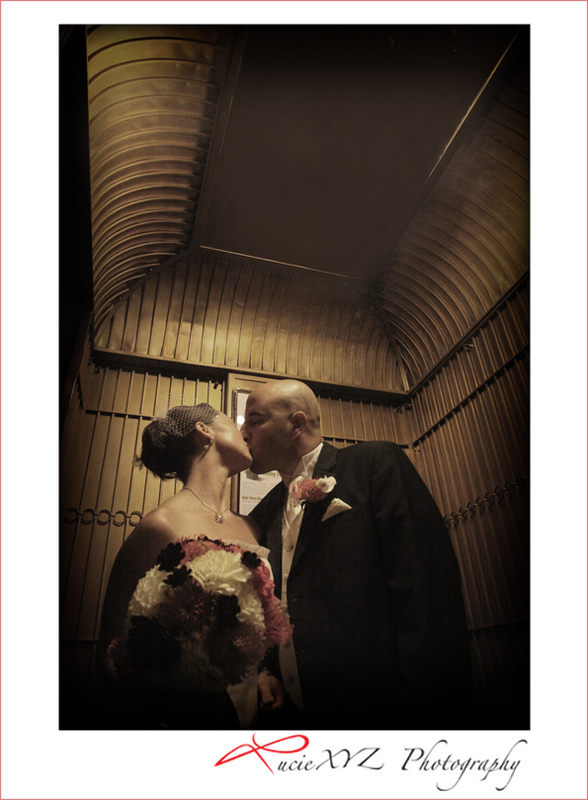 What a cool shot of the couple in the gold elevator at the University Club!